Here at RWD, we believe that luxury interior design is about enhancing the homes of our clients while still reflecting individuality and showcasing personality. Bespoke joinery is a great way to do this; creating something original and unique that is both functional and aesthetically pleasing, while at the same time integrating seamlessly into a design scheme. When planning the layout of a space or designing an interior scheme, whether a bedroom, dressing room, living room or library, bespoke joinery and furniture play a key part in the design journey. 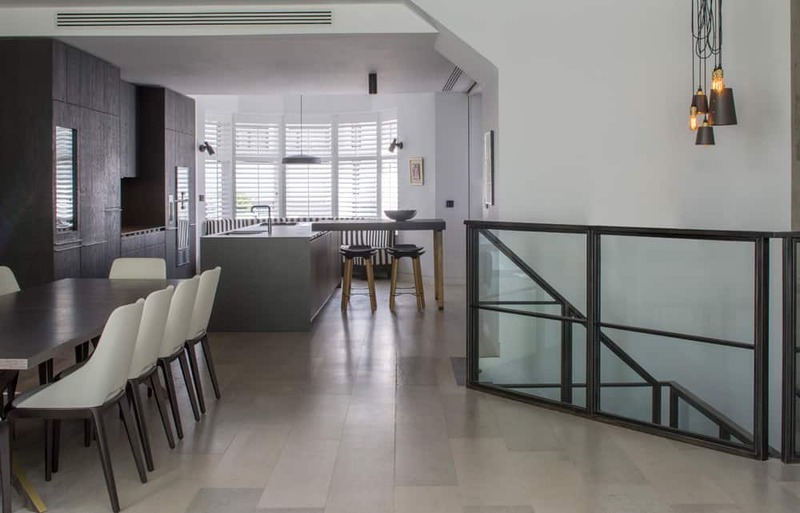 Bespoke joinery can serve as a signature statement piece that provides a striking backdrop or focal feature within a room, while still providing crucial functionality. We look at some of the ways in which to incorporate bespoke joinery into luxury home design. From custom storage to a clever combination of textures and materials, bespoke joinery is a luxurious addition to any home. 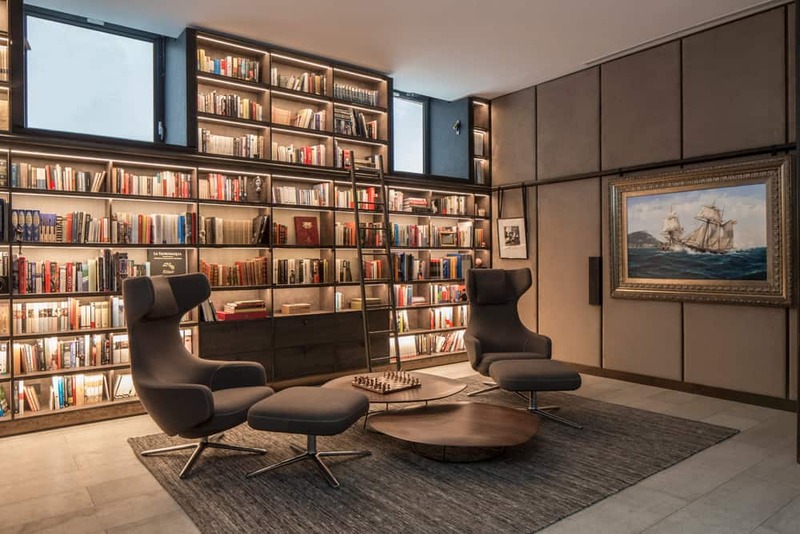 Being able to create bespoke bookshelves, cabinetry and innovative storage provides the opportunity to achieve a desired aesthetic and allows the space to adapt to your needs, rather than the other way around. One of our favourite bespoke joinery pieces is the striking floor-to-ceiling shelving in our Antrim Grove project. Creating the shelves around the windows and across the full width of the wall meant that we could maximise the space for storage while also creating a bold, all-encompassing library look. Carefully considered accent lighting has been used to illuminate the books, albums and games in the alcoves. 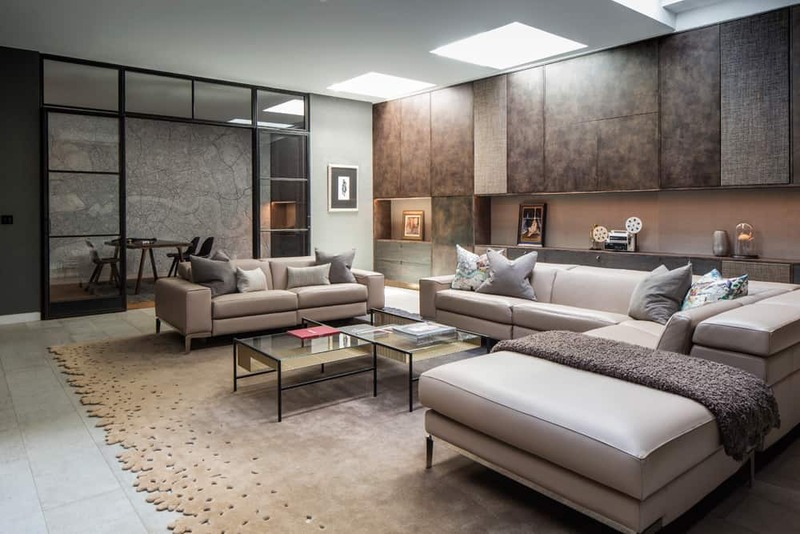 We used rich textures such as suede on the wall and a natural, hand-woven rug to create a warm yet muted palette to allow the lighting and design features to take centre stage. And why not create a fun element in a bespoke joinery piece by incorporating a reading nook with cushions for younger family members to enjoy? A kitchen is the perfect place to incorporate bespoke joinery that checks the box in terms of form and function. It’s a truly personal space, with different requirements for accessibility and aesthetics depending on the needs of the family or how the space will be used. In our Antrim Grove project, full-height bespoke cabinetry and base units provide plenty of storage for a young, dynamic family. The cabinet doors are a moody mix of black brown oak veneer on the tall units and graphite laminate base units, with strips of bronze in the handle recesses. The bespoke banquette seating in the bay window takes full advantage of the natural light and is an ideal breakfast nook or just an informal social space for family and friends. 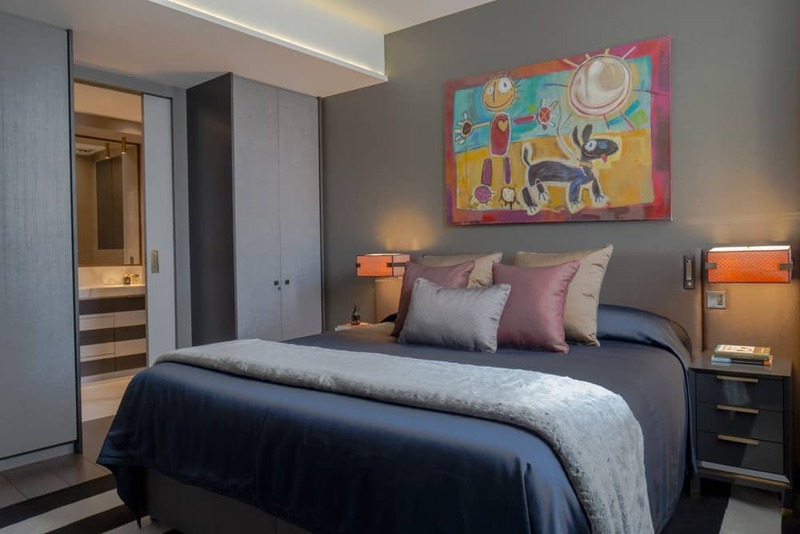 The master bedroom of our Fitzrovia pied-a-terre includes generous storage with wardrobes across two adjacent walls to accommodate the client’s clothing and luggage. 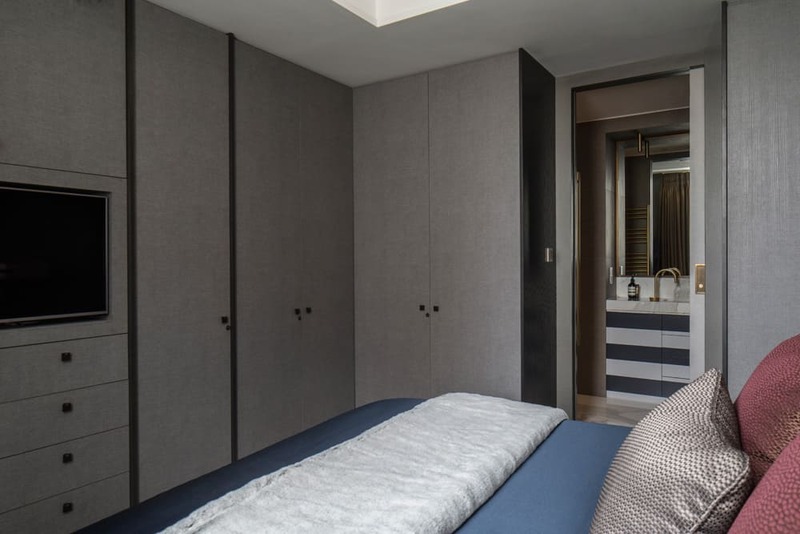 The wardrobes have been designed bespoke in a textured laminate and timber veneer and include carefully apportioned storage for long and short hanging, shoes, jumpers, shirts and jackets as well as space to integrate the TV. The joinery also houses an air conditioning unit for added convenience. Designing bespoke pieces not only provides the opportunity to meet the exact requirements of your desired look and feel but also to incorporate tactile elements that enhance the design and add to the warmth and character of the space. Whether complementary or contrasting materials and finishes, tactile elements allow an authentic freedom of expression. Bespoke antique brass bedside lights in the master bedroom of our Fitzrovia pied-a-terre includes textured shades in red and gold horse hair, while the bold stripes of the textural rug tie in with the charcoal striped vanity of the bathroom alongside. In the basement family entertaining space and home cinema of our Antrim Grove project, we designed the joinery to house the aquarium with tropical fish. 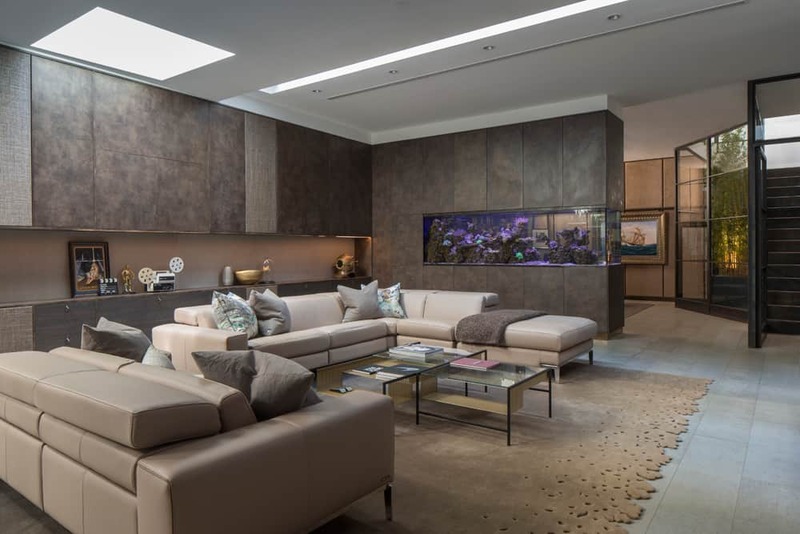 In this space, the feeling is more ambient and with the expansive ceiling height, we designed the joinery to extend the full length of the space which is broken by full-height metal glazed doors to isolate the study and the aquarium to separate the entertaining space and home cinema from the library. In this space, soft textures combined with a neutral colour palette and sophisticated furniture create a multi-functional space that is a welcoming sanctuary for the entire family. Often designing a bespoke piece is about finding a subtle solution for a challenging space, whether size or form, and selecting materials and finishes that are fit for purpose and complement the overall design scheme to create a striking signature piece or focal point. 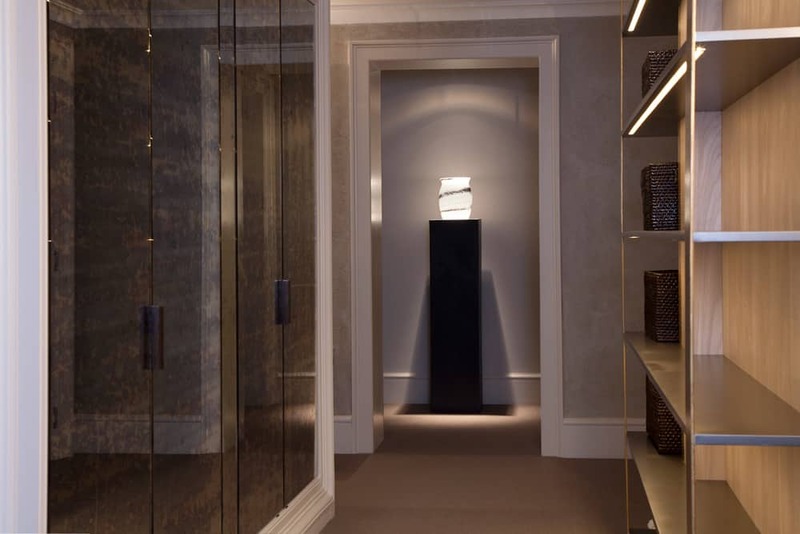 In our Buckingham Street hallway, bespoke joinery in a textured timber and brass-effect finish was fitted to allow for additional storage and a place for décor and personal objects to make the space feel more intimate. 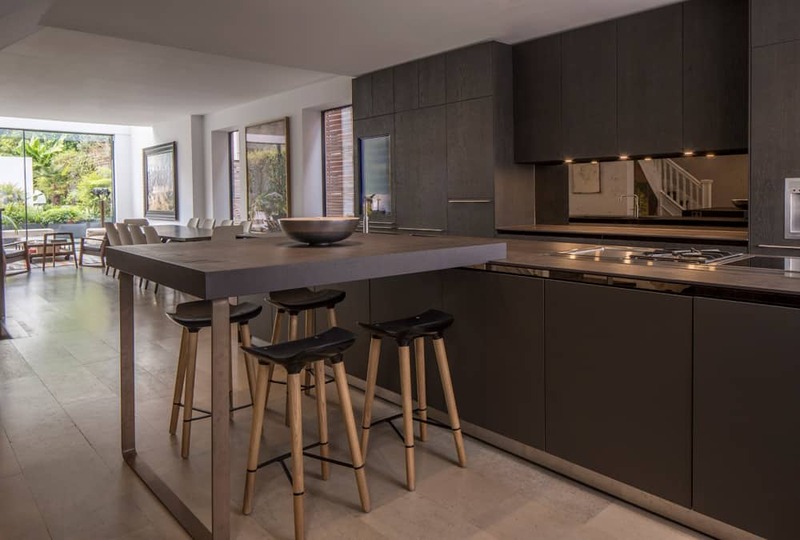 Antique mirror glass was chosen for the cabinet doors to add reflection and impact to the space and contrasts perfectly with the charcoal and grey colour palette of the overall design scheme. Adding fun and individuality was the order of the day in the boy’s bedroom of our Broad Walk project. Here a bespoke geometric design forms a focal feature of the room as well as a bespoke piece that is both functional and unique. 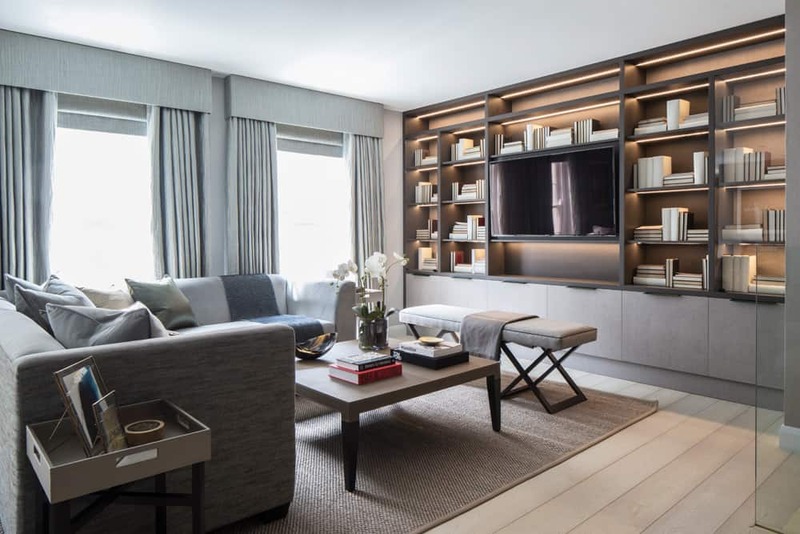 Similarly, the living room of our Eaton Mews North project incorporates bespoke joinery that is a striking feature in the room and conveys a sense of elegance and sophistication. 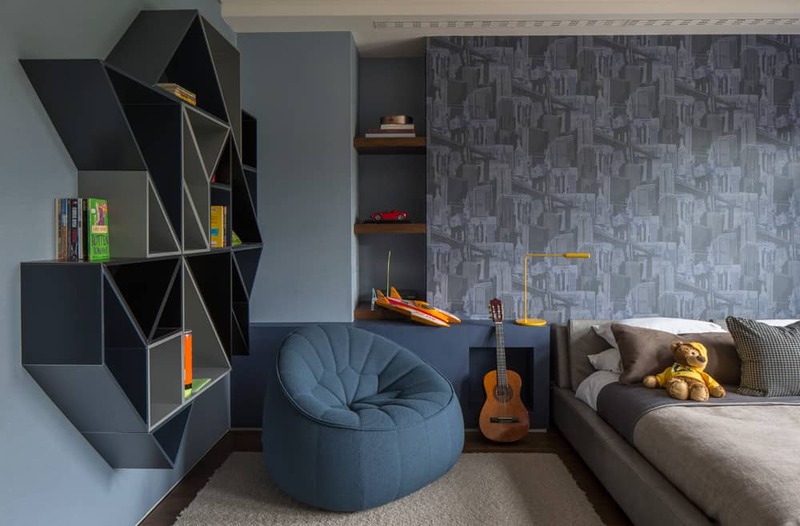 When styling the shelves, consider using shapes to provide a sense of uniformity, and arrange similar-shaped and coloured books or objects to create a sequence or pattern. LED lighting adds to the ambience of the room and provides a layered look to this stylish space.